Prominent & Leading Manufacturer from Dewas, we offer automatic circular saw, semi automatic circular saw and double column horizontal circular saw. Available with us is a quality range of Automatic Circular Saw, which is manufactured using high grade raw material sourced from the reliable vendors of the industry. Cold Sawing performed by these saws is the most economical as well as fastest growing method of cutting steel, stainless steel and aluminum. Moreover, the cutting done by our cold saws is very accurate without the need of secondary operations. 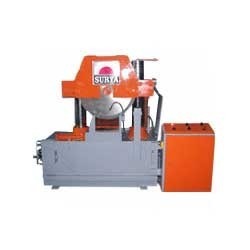 We are instrumental in offering a wide range of Semi Automatic Circular Saw to the customers. 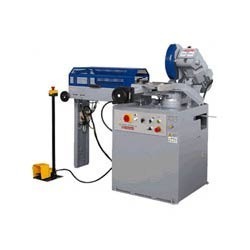 These saws are used for cutting metal profiles and solid materials in a fast and precise manner. The range of our products is widely used for professional use in maintenance workshops and low duty production. 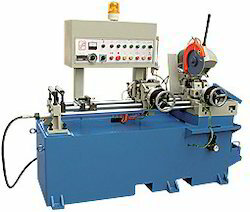 The range of Double Column Horizontal Circular Saw are fabricated using high grade raw material and latest technology. We make sure to source the raw material for manufacturing these Saws from some of the renowned market vendors. Moreover, we make sure to deliver these products at the clients' end within the stipulated time frame.